Finally, they let loose six tracks of unrestrained dynamite with their new EP, ‘Good Good Night Out’. Early reviews are calling it “the absolute pinnacle of artistic endeavor” and “greater than anything before wrought by the hand of man or angel”. And you can get your hands on a rare* physical copy of it at the Grace Emily Hotel for a mere $10! What a steal! 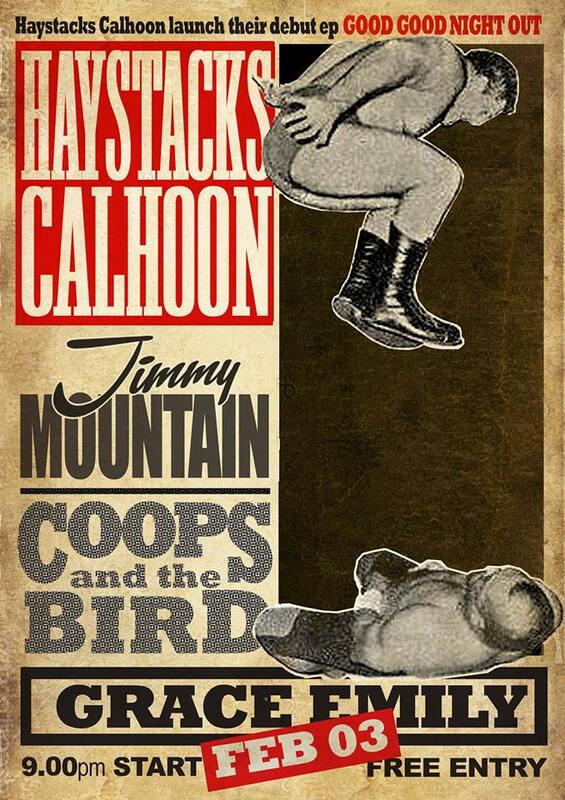 Haystacks Calhoon will be joined by dark country/rock troubadours Jimmy Mountain (www.jimmymountain.com).